George C. Boldt, a wealthy hotelier built this residence as a symbol of his undying love for his wife, Louise. However, just four years after construction began, Louise suddenly passed away. Heartbroken, it resulted in Boldt's decision to stop construction and never return to the island. 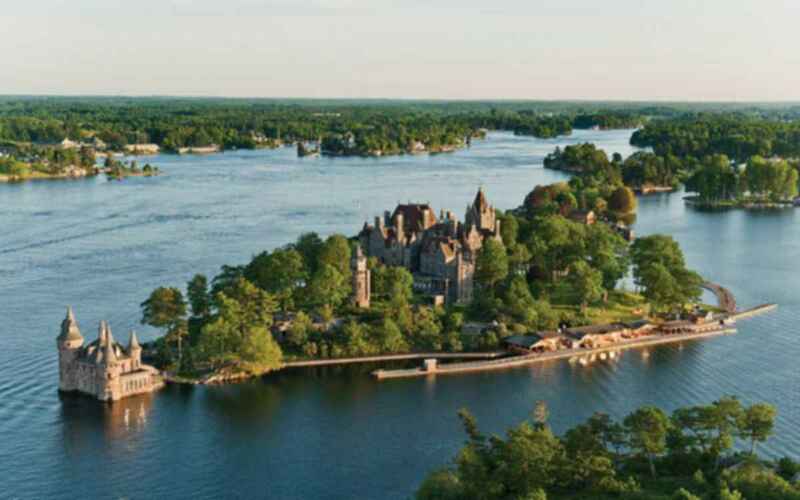 The amazing structure fell into ruin until 1977, when the property was bought by the Thousand Islands Bridge Authority who carefully restored the castle. Tennie Two Step with Brush Douglas Industries Inc.